22 Jun 2016 | C.C.I. Discover a secret corner of Venice and spend an afternoon dancing and eating sweets. 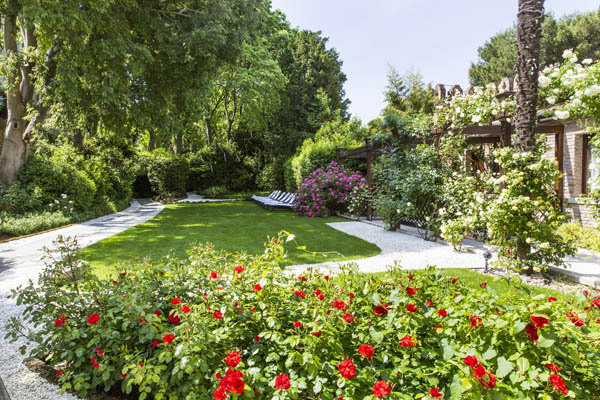 Upon their arrival the guests will take a tour of the secret garden of the hotel Boscolo Venezia, the only Venetian hotel with a private green area of more than 2000 m2 made of sinuous paths, trompe l’oeil of rocks, caves and false ruins. 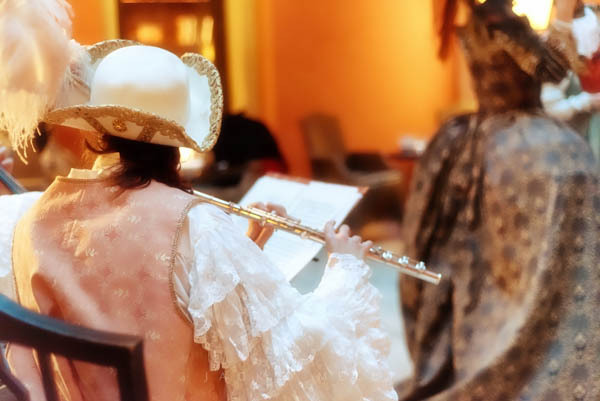 The afternoon will continue with what is the trademark of the Venice Carnival in Costume® events: the period dances led by the Dance Master and his partner on the music of a baroque trio. The guests will enjoy hot chocolate and Venetian biscuits in a festive atmosphere. From St. Mark square it’s possible to reach the hotel by boarding the hotel boat at 3 p.m. from the Royal Gardens of St. Mark.